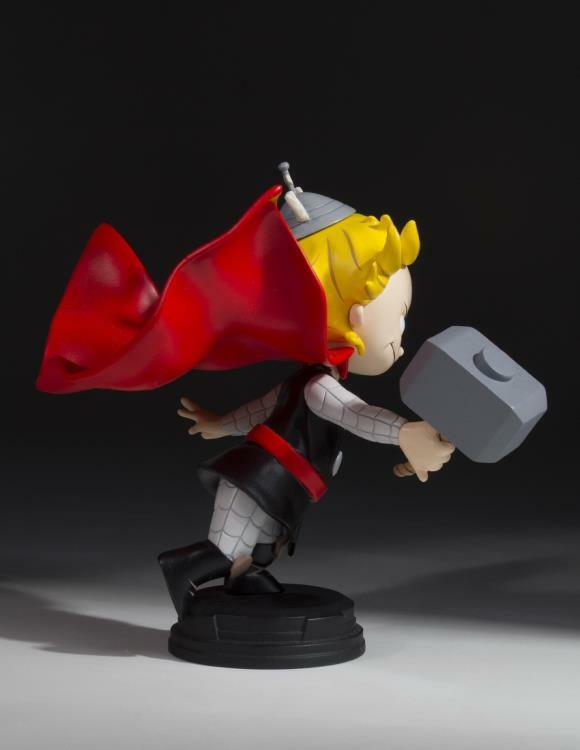 Odin’s beard!! Gentle Giant's animated Marvel statue line expands into Asgard! 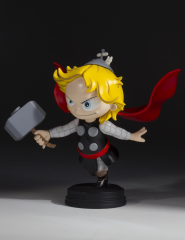 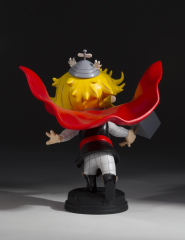 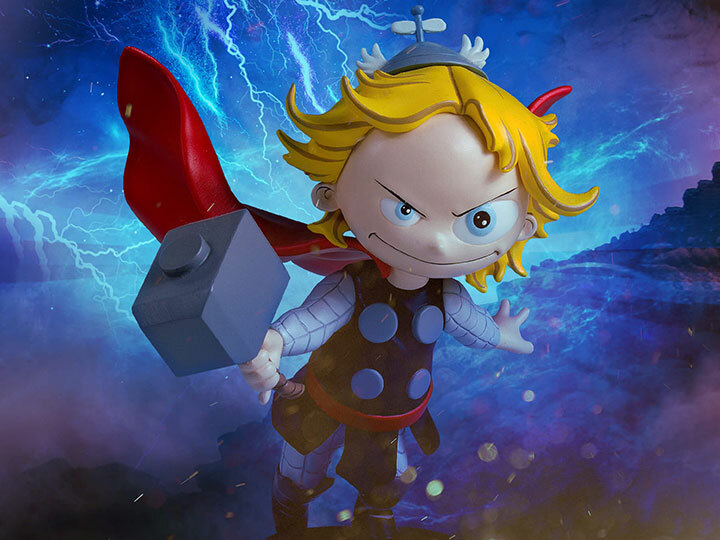 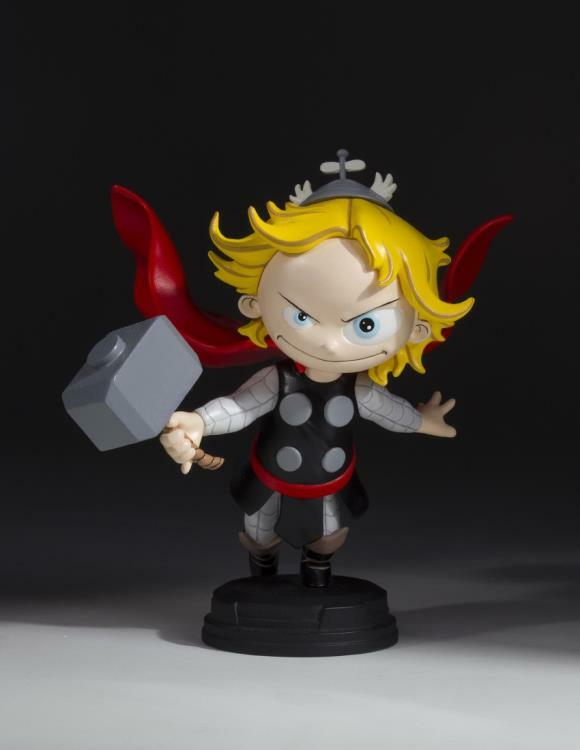 The Mighty Thor becomes the 11th character in their popular and adorable Marvel animated statue line. With his beanie propeller helmet, flowing cape, and wielding Mjölnir, this tiny god of thunder is rushing into action alongside his Avengers teammates! 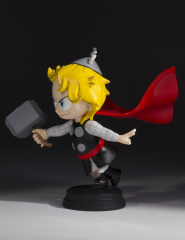 The Thor Animated Statue was digitally sculpted and carefully printed on state of the art 3D Systems 3D printers. 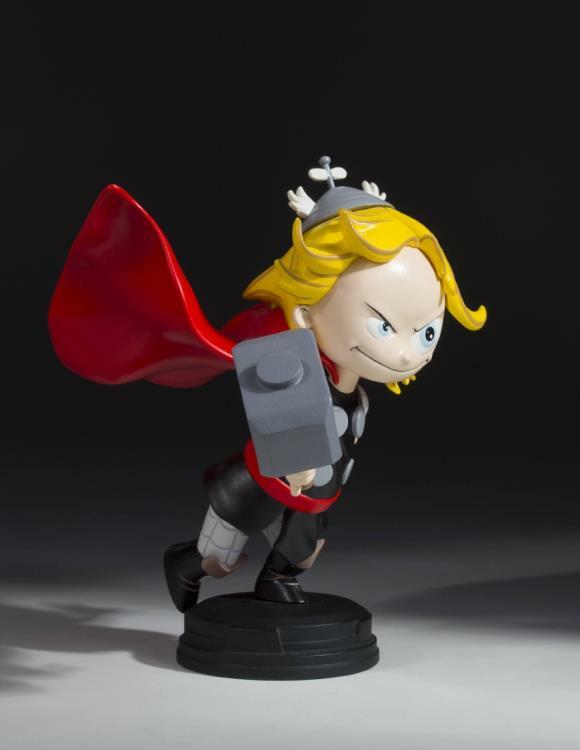 The high-resolution prints were then used in the creation of prototypes needed to produce this animated collectible. Each animated statue is hand-cast, hand-painted, and hand-numbered with a limited edition certificate of authenticity.